Every week our community are asked to attend events, given the significant cost and organisation required in putting them together it is important that it is well-promoted to attract attendance. 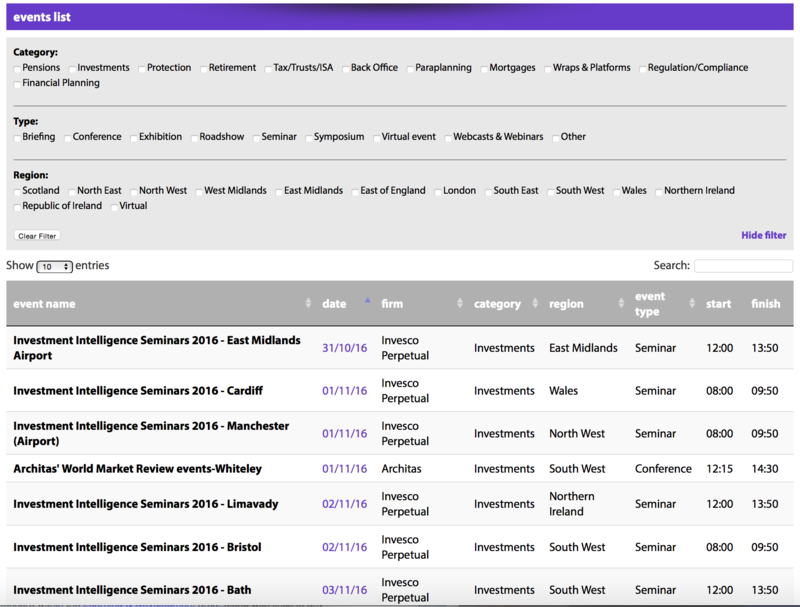 The Industry events table is easily accessed via every page on the site, and most recent events are featured on the home page, which was viewed over 16,000 times over the course of 2018. We also offer you the additional option of enabling our community to register directly from the Panacea website, to reduce clicks and improve responses. You can view the live events table here.